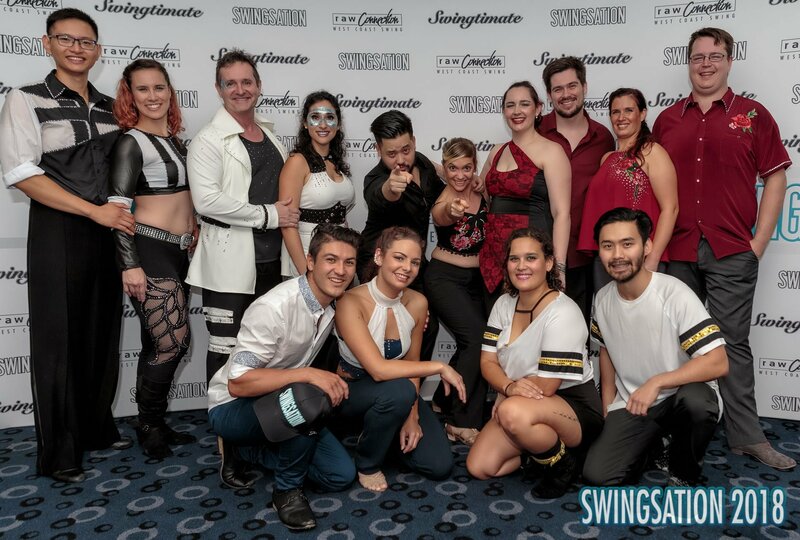 Swingsation is a World Swing Dance Council (“WSDC”) Registry Event. As such, points are awarded to the winners and place getters (and possibly finalists) of our Jack & Jill Competitions (except the Open category). The WSDC records and tracks points for every competitor and these points are used to identify the category a person should compete in. There must be a minimum number of five couples per category for points to be recorded. The guidelines for each category are set out on this page. If you want to enter a category for which you do not meet the entry requirements stated or want to change categories, you may submit a petition by sending us an email with a brief explanation of the reason(s) for your request. We will consider your petition and approve or deny your petition based on your reasons and dance history. Please note, if you have petitioned to dance at a higher division at one event you may still need to petition at future events. Jack & Jill competitions are designed to highlight skills in spontaneous WCS dancing and the ability to dance well with a variety of partners. 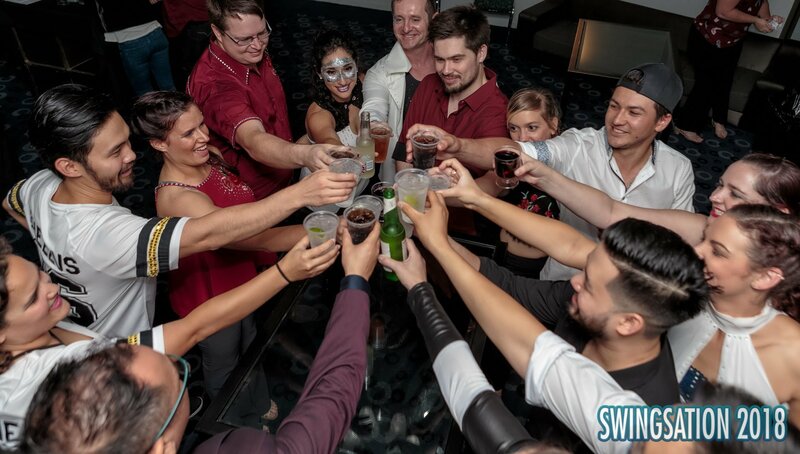 Competitors enter as individuals, are randomly assigned partners and dance to music selected by Raw Connection. This is a degendered competition. WSDC Novice Category Competitors who have less than 15 points in Novice. WSDC Intermediate Category Competitors who have 16 Novice points and more, but less than 30 Intermediate points should compete in this division. WSDC Advanced Category Competitors who have more than 30+ Intermediate points and less than 45 Advanced points accumulated within 36 Months. WSDC All-Stars Category Competitors who have 45 Advanced points accumulated within 36 Months. Our Professional staff will be inviting dancers they would like to compete with in this fun category! PLEASE NOTE, each category will only proceed if 5 or more leaders and 5 or more followers register for the relevant category. Strictly Swing competitions are designed to highlight skills in spontaneous WCS dancing with a chosen partner. Competitors enter as couples and dance to music selected by Raw Connection. If you are entering the Classic competition, you must dance with a different partner in the Strictly Swing Competition. Because you choose your own partner, there are no restrictions on gender or lead. You and your partner may choose to lead, follow, or switch roles. Couples should compete in Novice if both dancers have earned fewer than 15 Novice points and do not otherwise qualify for the Intermediate category. Couples should compete in Intermediate if one or both dancers qualify for the Intermediate Jack & Jill Competition. A person should compete in this category if one or both dancers qualify for the Advanced / All Star Jack & Jill Competition. PLEASE NOTE, each category will only proceed if 5 or more couples register for the relevant category. Classic division is designed to highlight skills in choreographed West Coast Swing. Competitors enter as a couple, supply their own music and perform a routine prepared in advance. Couples may only break away from each other for a maximum of 8 beats at a time. A maximum of 5 weight support moves are allowed per routine. Dancers must maintain physical contact with the floor during all weight support moves. Competitors can only enter this division once. Couples dance in spotlight format, with their own pre-selected music. The Pro’s choreography is designed to highlight the Am’s strengths and offer an attainable challenge without overreaching their abilities. The judges judge both the suitability of the choreography and the Am’s ability to execute it well. Dancers are ranked by relative placement, same as in Classic. All rights reserved. Hosted & designed by Mason Russell.